I have a trio of board books to bring to your attention today! When I’m sent something to review, it doesn’t always get to the point of being reviewed. Sometimes we don’t click, sometimes there’s very little I can say about it, or sometimes it’s so out of my remit that I wouldn’t know where to begin. But sometimes, it’s a gorgeous pack of board books that demand attention, and this is the substance of today’s post. A charming and rather lovely board book illustrated by Ingela P Arrhenius, this is a treat. It’s chunky and solid and well put together, and Arrenhenius’ illustrations are a treat. They’re stylish, modern and very nicely done in such a small space. 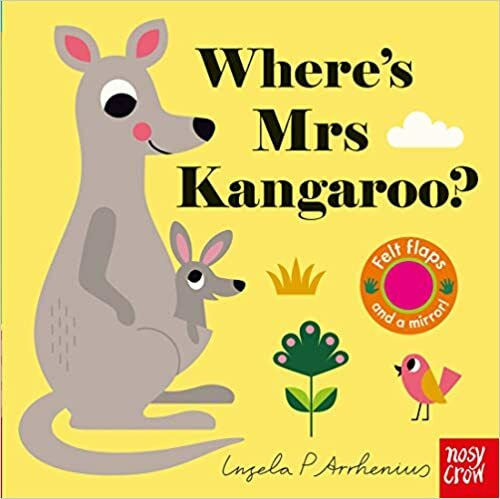 Textually, it’s very straightforward and based around a question and answer: “Where’s Mr Koala?” “Here he is!” The answer is located behind a flap of felt that’s shaped and coloured to match the scene. I’d welcome some books of this nature to start to explore alternatives to ‘Mr’ and ‘Mrs’, but other than that, this is a lovely, lovely thing. When I got to the final spread of this, I absolutely fell in love. I’m a sucker for exuberance in board books, particularly those that celebrate the power of mums. This is a simple story written by Timothy Knapman that celebrates a day in the life of a mum (and it’s quite an exhausting one!). She runs with her daughter to catch the bus; she plays in the playground; and she finds the lost teddy. 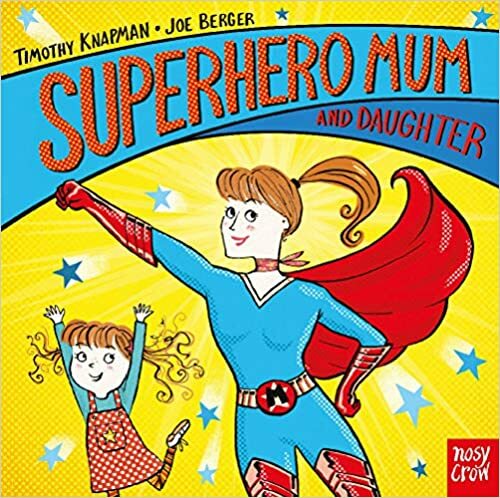 She’s a super-mum indeed, but the conclusion rather nicely points out that this isn’t just a one-off: “Every mum’s a superhero and so is every girl!” (The illustrations here by Joe Berger are particularly wonderful; a rainbow bright, fierce explosion of love). One thing to bear in mind is that Superhero mum and son is a gender swapped version of this story. The text and images are substantially similar, save for the gendered detail (the female protagonist shifts to a male one). 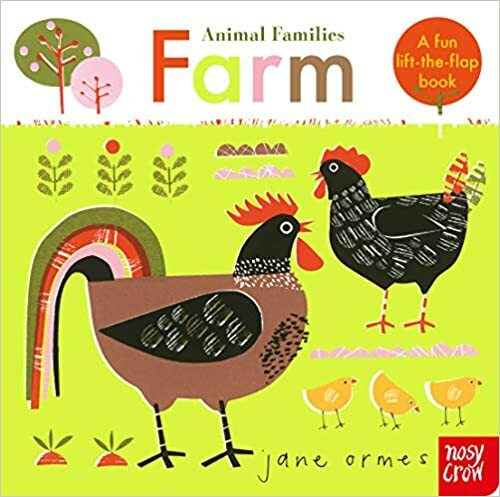 Much more visually distinct than many other board books out there, this is a really beautiful thing from Jane Ormes and Nosy Crow. Artistically it’s reminiscent of some powerful things – Orla Kiely; Pat Hutchins to name but two – and I thoroughly enjoyed it. It’s a simple lift the flap exercise, though instead of moving on a north-south dynamic, these flaps explore east-west (and as such, offer the opportunity to play around with developing some other skills, plus the awareness of the ‘movement’ of the book itself). I also rather loved that it doesn’t shy away from esoteric and strange vocabulary. Not everything for this age group has to be written in a particular manner; this teaches the collective noun for donkeys (a pace!) and talks about the different names for mummy and daddy animals to be found on a farm. The illustrations throughout are lovely, and this is such a gorgeous thing. This was fun. ‘So You Think You’ve Got It Bad? A Kid’s Life In Ancient Greece’ isn’t the pithiest of titles (and indeed, a structure paralleled by others in the series such as So You Think You’ve Got It Bad? A Kid’s Life in Ancient Egypt) but it is a rather pithy and well-told piece of non-fiction. What’s really interesting is that this comes from a partnership between Nosy Crow and the British Museum and clearly draws upon some of the themes, objects and knowledge of that institution. It’s easy for books of this nature to become simple ‘let me pay you some money and whack my brand on the front of it’ exercises, but I suspect that this is something that wouldn’t ever happen in the Nosy Crow stable. Their books always have a really nice sense of quality and pride about them, and this is no exception. Covering topics such as ‘The Home’, ‘Diet’ and ‘Fun And Games’, A Kid’s Life In Ancient Greek works through societal rules and expectations for children. I was pleased to see it include a section on ‘Life As A Spartan’ which quite tactfully introduces the hardship of this experience, and I also loved how each section had colour coded page edges – it’s the little notes like this that bind the experience together. Tonally, it’s more reminiscent of all the all-devouring Horrible Histories series though it does shy away from full on pastiche (which is a good thing!). Instead Strathie takes a lot of pleasure in exploring history from a contemporary perspective and embracing the humour that comes from this: “In Greek Pictures warriors were sometimes depicted with no clothes on. Nakedness was a symbol of bravery in Greek art. It is not a symbol of bravery nowadays. We repeat, it is NOT a symbol of bravery nowadays.” It’s perhaps not the most historical ‘tone’ one might expect, but he does work a lot of information into this, and neatly too. I loved discovering Marisa Morea’s illustrations. She’s got a very gentle sense of line and colour, embracing that kind of contemporary, natural edge to her work, and as such makes it all very relateable. There’s a substantial mixture of skin-tones and body shapes represented, which is something very lovely to see. My only concerns with the volume were that I’d have welcomed more being done with the endpapers (particularly as ancient Greek art is so rich with this sort of thing), and the glossary could have done with a little more relationship to the text itself – it felt a little disjointed. Other than that, this is a smart and solid endeavour.